Abamectin(CAS No. 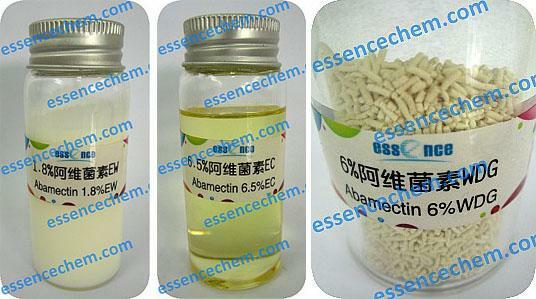 71751-41-2) is a Insecticide and acaricide with contact and stomach action. Has limited plant systemic activity, but exhibits translaminar movement. Abamectinis used for controlling of motile stages of mites, leaf miners, suckers, Colorado beetles, etc. on ornamentals, cotton, citrus fruit, pome fruit, nut crops, vegetables, potatoes, and other crops. Application rates are 5.6 to 28 g/ha for mite control, 11 to 22 g/ha for control of leaf miners. Also used for control of fire ants. May be phytotoxic to pome fruit when mixed with captan. Customized 10ML ~200L for liquid formulations, 1G~25KG for solid formulations.